If your soul is the light of the Universe personified into physical form, then the light body can be understood as the emergence of the soul expressing itself through your senses. It is more so a shift in consciousness than an object to pursue. 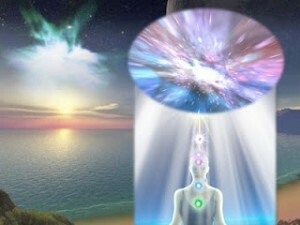 As your light body activates, it signifies a deeper integration of spirit in form. As this occurs, you become aware of yourself as the light of the Universe experiencing life as a person, instead of a person trying to figure out how to integrate their spirit or activate a light body. Before I go into the common symptoms that confirm the activation of a light body already in progress, it is important to remember not to objectify this stage of awakening as any form of social status. Let us not imagine those whose light bodies are activated as the "spiritual haves" compared to the "spiritual have-nots" who continue to stumble around in the darkness. It is more insightful, loving, and compassionate to view each person as a unique seed that requires a specific amount of time in order to fully blossom. Since the light of the Universe is an eternal field of subtle energy, it is essential to remember what light feels like once it has awakened. While there can be waves of ecstasy ebbing and flowing throughout the core of your being, the light body is like a vast ocean holding sacred space for each passing wave as a celestial body of emptiness. Often misdiagnosed as depression or chronic fatigue-like symptoms, light body activation expresses the infinite spacious nature of consciousness that only seems so hopeless, daunting, or heavy to an ego dissolving back into the light of Source. Throughout this process, it may seem as if partnerships or life-long relationships are disappearing, you are unable to find the passion you once felt, you might even be confused by a lack of direction or intuitive knowingness, or be emotionally triggered by the unresolved patterns in others, or perhaps just exhausted by an inability to function without an ego maintaining a false sense of control throughout your life. This is why confusion, disorientation, frustration, apathy, and loneliness are each vital signs of light body activation in progress. As you make peace with these signs as a confirmation of light body activation already in progress, instead of judging them as symptoms to overcome, your consciousness naturally moves into a timeless dimension that exists within the physical body. Your initial entry into the timeless dimension within you might seem confusing as your perceptions of time begin to melt away. 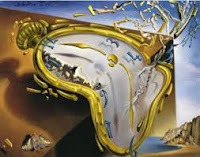 Soon, you will be able to see time as merely an idea throughout your play that cannot burden or imprison you when fully integrated into the timeless dimension of eternal being. This process cannot be rushed, and is not a result of personal doing, but instead, a natural unfolding that occurs as you continue to slow life down and love what arises. This can also resolve outdated old paradigm spiritual teachings, where the objective was to transcend time or view life as the eternal witness from outside the body. In order to see life from a timeless dimension, it is essential to move toward your experiences, since the more deeply rooted you are in the body, the more spacious, liberated, and fulfilled each moment can be. The objective isn't to pull back from experiences, but to relax your body and breathe each experience into the core of your being. As you become integrated into the timeless dimension within you, your initial experience of life outside of time might feel like being mysteriously blank. There may not be a sense of who you are, what you're not, or any impulse to do anything in particular. The key throughout this stage of light body activation is relaxation. The more you relax, no matter how odd or indescribable your experiences become, the more quickly your light body becomes activated for the wellbeing of all. Once rooted in a timeless dimension of eternal being, you are able to guide the physical body that is still existing in the play of time from a higher vibrational and heart-centered perspective of quantum reality. Through the eyes of quantum reality, since everything happens at once, choices are no longer associated with the need to control outcomes, but are acted upon to bring forth your highest consciousness to raise the vibration of your personal play. While it is easy to think that since everything is happening at once in parallel dimensions, you can develop the ability to call any reality to you at will. In truth, when you are fully aware of the simultaneous nature of reality, there is no longer a ravenous hunger insisting how satisfied it would be if only it had control over your play. Instead, the mentality that arises from a fully activated light body is an unwavering sense of faith in knowing that everything is meant to occur at a specific moment in time, whether you work toward earning it or not. Instead of trying to manifest outcomes at exactly the moment they are not meant to exist, a fully activated light body inspires you to use choices in each moment to anchor higher frequencies of consciousness throughout your everyday encounters. From this higher dimensional perspective, the people, places, and things that come your way are like flashcards created to help you practice bringing forth more conscious responses. This means the actions and behavior of others do not reflect something imbalanced in you, but were created as opportunities to match their unconsciousness with a greater conscious response. When someone complains, we respond with a compliment. When someone judges you, say "thank you". If someone is having a bad day, offer a smile. And, throughout it all, if anything triggers you, take it as a reminder of the perfect moment in time to stop and love your heart more sincerely and deeply than ever before. The light body is the radiance of your soul that awakens once you have made peace with life's divine plan and relaxed into the emptiness of being. Once emptiness is no longer confused with sadness, grief, guilt, insecurity, or depression, but a gateway into liberated existence, the emptiness of being awakens the light of the Universe within you. Once the light body is fully activated, each person, place, or thing can be welcomed, transmuted and returned to its original form, at the rate in which everything is breathed into your core and breathed back out as blessings for all. As a way of assisting in the transformation of your journey, I have been given two light body activations for you to repeat out loud, as a way of anchoring fifth dimensional consciousness. For the first time ever, just by repeating the following words that I have been divinely guided to share, you can allow your light body activation to accelerate with peace, ease, grace, and joy. Light Body Activation #1: "I allow the nervous system to recalibrate and transform into pure crystalline light as I am now." To move onto activation #2, start by taking 3-5 slow deep breaths. Repeat activation #2 out loud as naturally and gently as possible. After activation #2 has been spoken, take 3-5 deep breaths for further integration. Light Body Activation #2: "I welcome the light body, I trust the light body, I am the light body, the light body I am." You can repeat this process throughout the day, while knowing it isn't a matter of how many times you say it, but how often you provide the necessary amount of space to allow what you activate through your words to be revealed within you. Many will repeat these activations and feel instantaneous shifts, while some may not feel anything at all. It all depends on how sensitive you are to sensing subtle energy, which is much like noticing the most gentle breeze on a warm summer day. 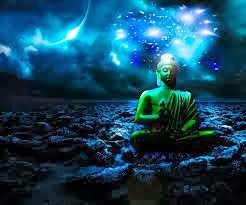 When we put aside any tendency to approach our spiritual journey with desperation, intensity, or aggression, we can harmonize with the light of the Universe and call forth the higher aspects of self that allow each breath to be endless gifts of fulfillment - no matter the situations or circumstances at hand. May these activations awaken a well-spring of perfection within you, inviting you to slow down the pace of your pursuit, so you may notice the light of divinity dancing as the beauty of form. As always, take your journey one breath at a time, so not to get distracted by long-term spiritual goals, when in fact, the precious nature of this moment has so many gifts for you to receive. With many more energy updates to come, you can rest in knowing that all is well in the Universe, no matter how the growing pains of evolution appear in your world. As your evolution continues to unfold, the Universe offers you every activation, awakening, and integration necessary to help you remember the journey that is already complete. Even though the completion has already occurred, we are blessed with the opportunity to live out what is already so, as if it's happening for the very first time. No matter how you are meant to blossom in the garden of divinity, may you love yourself more, not less, every step of the way.